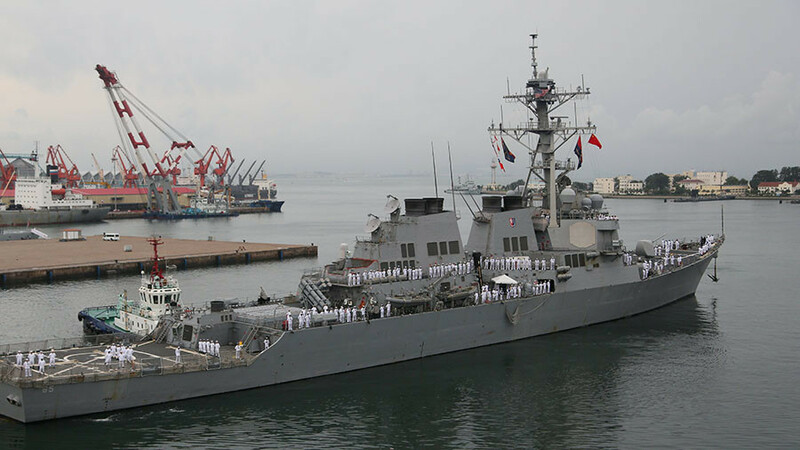 A US Navy destroyer has collided with a Japanese tugboat in Sagami Bay, off the east coast of Japan, making it the fifth such incident involving the Pacific Fleet this year. An official statement from the US Navy's 7th Fleet said the tugboat lost its propulsion and drifted into the USS Benfold on Saturday, sustaining minor damage. “No one was injured on either vessel and Benfold sustained minimal damage, including scrapes on its side, pending a full damage assessment,” the statement read. The USS Benfold remains at sea while the Japanese boat was towed to a port in Yokosuka. The Navy said that the incident would be investigated. This is the fifth such incident to take place this year, two of which have been fatal. The first took place on January 31 when the 31 USS Antietam ran aground, spilling 1,100 gallons of oil into Tokyo Bay, causing an estimated an estimated $4.2 million of damage. 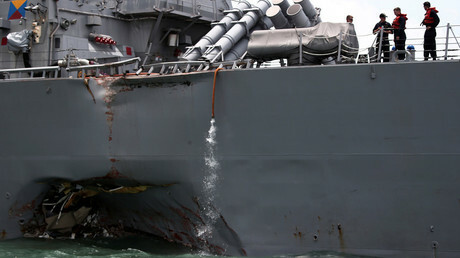 The second crash occurred on May 9, when the USS Lake Champlain collided with a South Korean fishing vessel in the Sea of Japan. On June 17, seven soldiers were killed as the USS Fitzgerald collided with a Philippine container ship in the middle of the night southwest of Yokosuka. The ship sprung a leak and seven sailors were found drowned. Three of the commanding officers on the ship were later relieved of their duties. On August 21, the USS John S. McCain crashed into a commercial vessel in the Strait of Malacca off the coast of Singapore. Ten sailors drowned as seawater filled sealed compartments of the ship. Another five sustained serious injuries. Earlier this month, the Navy announced reforms to improve sailors’ skills at sea after reviews showed crew members in the Pacific were undertrained and overworked.